Nearly one year ago, the pop icon Prince died from an accidental overdose of the opioid fentanyl. Police found mislabeled pills laced with the synthetic drug called fentanyl in his home and the drug was confirmed in his system. Headlines aside, Americans are increasingly succumbing to pills made with the dangerous fentanyl. Law enforcement nationwide are trying to crackdown on the importation of those drugs as well the machines being imported to the U.S. to create the knock-off drugs. 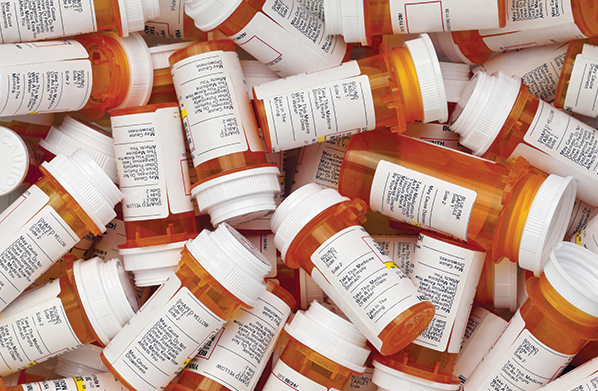 A new policy paper from the Washington Legal Foundation (WLF), Penalty Disparities Frustrate Protection of Consumers from Dangerous Counterfeit and Diverted Drugs, offers proposals to go after producers, wholesalers and pharmacies of counterfeit drugs. The stakes are high. At best counterfeit drugs are ineffective because they contain fewer of the purported active ingredients or no active ingredients at all. When laced with more harmful substances though, they can lead to deadly results. The analysis explains that some counterfeit drugs are either made domestically or initially purchased overseas then diverted to the U.S. – often after a circuitous trip where they may be held in “unsuitable or insanitary conditions.” For the illegally imported goods, they can arrive past the expiration date with labels in another language. The differing levels of jail time and fines for drug counterfeiting and diversion is one major factor in the proliferation of illegal sales and the continued viability of businesses that make such sales. The financial cost-benefit of unapproved drug sales favors the criminal sellers in two ways: 1) the size of the profits vastly outweigh the potential punishments and 2) the low penalties for counterfeiting and diversion act as a disincentive against aggressive enforcement of those laws. And it’s not just about pain medication. Apparently, youthful skin is big business for counterfeiters, too. New shops and spas selling Botox that isn’t approved for use in the U.S. pop up just as quickly as law enforcement is able to close them down. Their suppliers: producers overseas. ... Despite successes in preventing potentially dangerous or ineffective drugs from reaching consumers, sales of illegal products continue, due to the potential profits that can be made. Perhaps by closing gaps in the FDCA’s penalty structure, the criminal penalties from importing the dangerous product will outweigh the perceived financial benefits for bad actors, thereby protecting American consumers and strengthening the supply chain. Protecting the health and safety of Americans is a critical function of the FDA. If current laws and regulations aren’t keeping up with the counterfeit drug market, we need to update them accordingly. At the same time, we do need to think about how we expand drug options to lower the costs for consumers. How do we speed up the process to approve medicines and drugs produced here and abroad without sacrificing quality or safety? These are good questions to consider as the new administration starts to shape policy on healthcare.